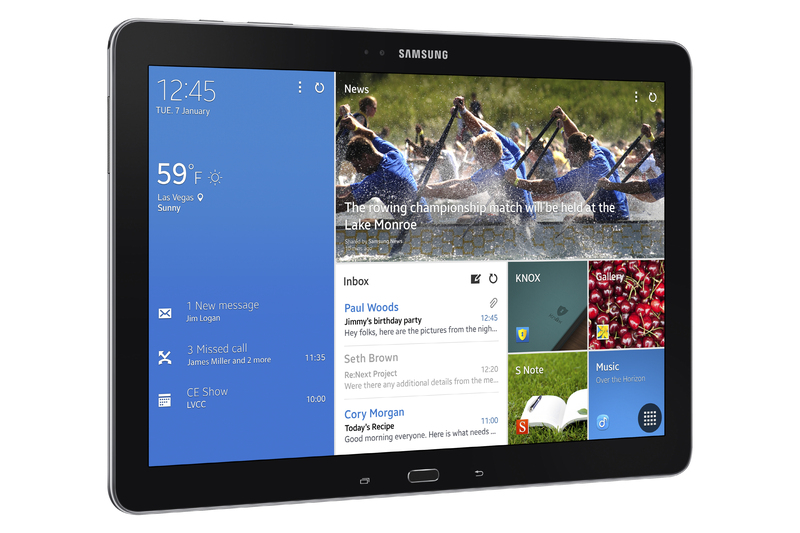 At CES, Samsung unveiled a pair of 12.2-inch tablets, dubbed the Galaxy TabPro and the Galaxy NotePro. Both tablets feature 2,560 x 1,600 Super clear LCDs, 3GB of RAM, and 32GB and 64GB configurations with microSD card support. The tablets will be available with either a Samsung Exynos 5 Octa processor for the Wi-Fi-only and 3G models, or a 2.3GHz quad-core Snapdragon 800 chip for LTE models. As expected, the main difference between the two tablets is the inclusion of the S Pen—Samsung's Wacom digitizer—which is reserved for the Galaxy NotePro. Like the company's other Note products, the S Pen is accompanied by a number of software features, like Air Command and a variety of note taking and drawing apps. The company's new tablets will ship with Android 4.4 KitKat and will include the faux-leather backing originally used on the Galaxy Note 3. Samsung will also give its new tablet owners free, limited subscriptions to services such as Bloomberg Businessweek+, Dropbox, Evernote, and NY Times. Samsung also announced 10.1-inch and 8.4-inch versions of the Galaxy TabPro, all of which will be available starting this quarter. 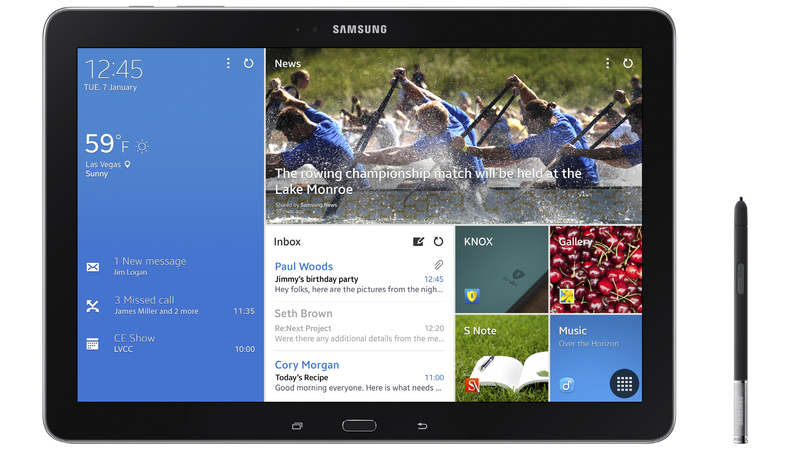 Pricing for Samsung's four new tablets has yet to be announced.